Is it possible to have a horizontal nav and a fixed left vertical nav in the same header using the pro header builder? I would like a horizontal primary menu and a secondary vertical menu down the left-hand side of the page. I noticed i can't assign two headers to the same page; so maybe I can combine vertical and horizontal elements into one? Yes, that is possible. 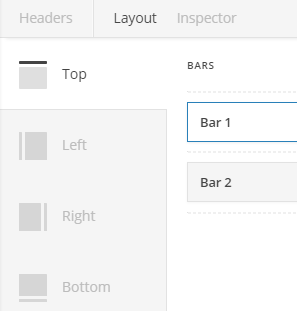 In the same header, you can have multiple bars including a side bars. Please see the usage instructions in our Knowledge Base. Thank you! I see that now. One problem I am still having with that is that my content on my page is behind my vertical header. How do I change the vertical header settings so that the page content does not go behind it? Please provide your URL so we can take a closer look. I will add the login in a secure note. the problem is actually that the vertical header is pushed over to the right instead of being behind the vertical one. is that expected behavior? The page requires authentication access. Please provide it as well so that we can check the page.